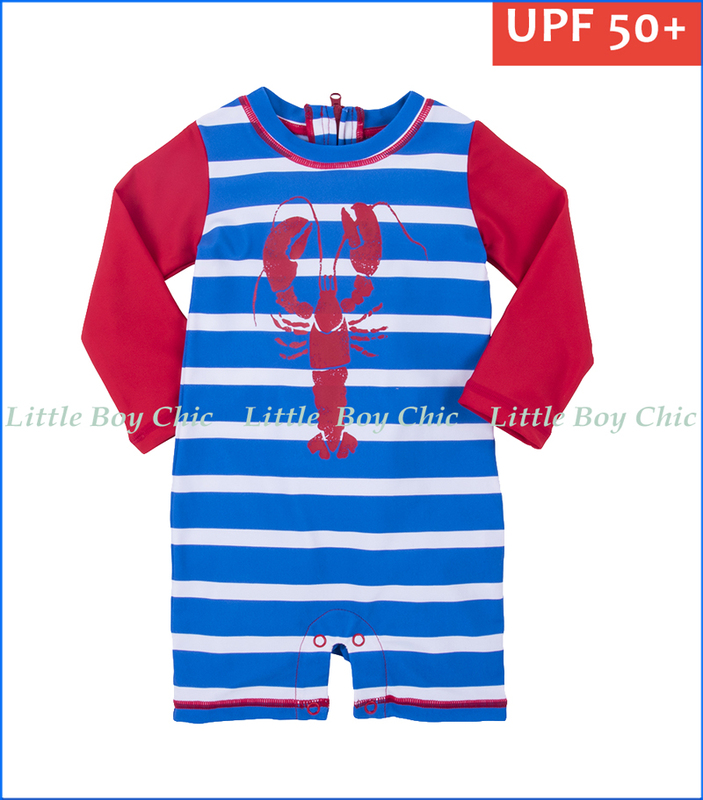 Baby boy's first one-piece rashguard has a quirky lobster print. UPF 50 Sun Protection and long sleeves will keep him safe and rash free. Zipper closure on back and snap closure at inseam makes getting him ready for the pool or beach a literal snap.